IAN AUGUST is a NJ based playwright, actor and lyricist, whose works have been performed across the U.S., as well as in Canada, Australia, the UK, South Korea and Bermuda. His full-length plays include: The Goldilocks Zone, (Passage Theatre Company), Donna Orbits the Moon (NJ Repertory Company, Utah Contemporary Theatre; Barbour Memorial Playwright Award, 2010), Missing Celia Rose (NYC Summer Play Festival; Orlando Shakespeare Theater’s “Playfest 2009″; Bermuda Musical and Dramatic Society), Submitted by C. Randall McCloskey (2011 NY Intl. Fringe Festival), Natural History (2009 NY Intl. Fringe Festival),The Aisling (2009 Heiress Productions New Play Series Award), The Moor’s Son, Interviewese, The Excavation of Mary Anning, Displaced, Brisé, and Cobbler. Mr. August’s short play, Le Supermarche, or What I Did for Lunch, was a winner of the 31st Annual Samuel French Off-Off Broadway Short Play Festival, and published in a 2006 anthology. Other works have been published by The Pitkin Review, Smith and Kraus Publishing and the One-Act Play Depot. Mr. August is a founding member of the Princeton-based Witherspoon Collective and is a graduated member of the Philadelphia playwriting workshop, The Foundry. JOSIAH HUTCHINS received his Bachelors degree in theater performance from Cedarville University. Since then he has taken part in productions at the Ritz Theater Company in Haddonfield, NJ. Favorite theatrical credits include: Reverend Lionel Toop: "See How They Run", Barnaby Tucker: "Hello Dolly" and Bill Livingston: "The Women of Lockerbie". He has experience in work-shopping new plays before, and loves the creative atmosphere that surrounds the establishment of new productions. Josiah feels very privileged to be a part of this new work and is excited to see what the future has in store for this awesome show. He would like to give a special thanks to Greg for thinking of him and allowing him to be a part of this process. JENNA KUERZI is an actor, director, and singer based in Philadelphia. Jenna has performed regionally with Tribe of Fools, 11th Hour, Iron Age, EgoPo, Delaware Theatre Company, the Philadelphia Shakespeare Theatre, the Laurie Beechman Theatre in New York City, Irish Heritage Theatre, and On the Rocks. Upcoming: Dot/Marie in Sunday in the Park With George at City Theater Company in Wilmington, Delaware. BRIE COVINGTON is a 2017 graduate from The State University of New York at Fredonia, where she received her Bachelor of Fine Arts in Acting. Following graduation, she appeared as Iris in The Tempest at the Tom’s River Shakespeare Festival's Inaugural Season. Selected regional credits include: 12 Angry Jurors, Little Women, James and the Giant Peach, Peter Pan, The Complete Works of Shakespeare Abridged. She is thrilled to join the Witherspoon Circle evening reading series. was a member of the professional actor training program. Bitter End in NYC, Wells Fargo Center in PA, and The Chevalier Theatre in Boston. RICK AUSTIN has been an actor in and around the Philadelphia area for 10 years. He has trained at Mike Lemon Casting, the Walnut Street Theatre, and I went internationally (ok, just Canada) to Second City Toronto to study improvisation. Additionally, He's been working with Joey Perillo for the past 3 years, even assisting him in his children's camps at Wickline Casting. JUDITH LIGHTFOOT CLARKE: Broadway: CASA VALENTINA , Manhattan Theatre Club; Off Broadway: MTC: LINDA; St. Clement’s: THREE TRAVELERS; Public Theatre: THE NORMAL HEART; Carnegie Hall: ANYONE CAN WHISTLE; Cherry Lane: EVE-OLUTION; Variety Arts: COMMUNICATING DOORS; York: SACRIFICE TO EROS. REGIONAL: Shakespeare Theatre Company: ROMEO & JULIET; Arden: MACBETH, Merrimack Rep: GOD OF CARNAGE, THE HOMECOMING, BOSTON MARRIAGE, THREE DAYS OF RAIN; Old Globe: HAYFEVER; Alley: MISALLIANCE; Ivoryton Playhouse: THE GRADUATE; Wilma: CLOUD 9; Interact: THREE CHRISTS OF MANHATTAN; Cincinnati Playhouse: CLOSER, TO KILL A MOCKINGBIRD. FILM: How to Be Single, Killer. TELEVISION: Unforgettable, Forever, Outlaw, Law & Order, SVU, What Goes On. Graduate of The College of William & Mary in Virginia. DEBORAH PECKMAN is a local New Hope resident that has performed in concerts, local and regional plays and musicals, national tours and internationally in Italy and Ireland. Deborah is currently performing in a NJ production of Equus through October 22nd at Franklin Villagers in Somerset, NJ. Most recently, she was seen in Lombardi at the Off-Broadstreet Theater in Hopewell, NJ and was featured in Stars 'n Stripes, a patriotic musical review with Lambertville's DPAC/Music Mountain Theater in which she performed alongside her two sons, ages 8 and 11. Deborah moved to New Hope 3 years ago from CT where she appeared in the original 2-person concert, The Voice - Heart of an Irishman and several local theater productions. Prior to that, Deborah lived in Hoboken, NJ and New York and worked as a Technology Trainer at Goldman Sachs. Deborah grew up in Bridgewater, NJ and graduated from Rutgers University. She currently works independently as a music teacher for toddlers, performs in original, improvised shows for DOA Interactive, and is a performing artist for Philly Senior Stage, leading acting classes and sing-alongs for senior residents at assisted living facilities. She also volunteers her time with several organizations including the local cub scout pack, Kehilat HaNahar and the New Hope-Solebury elementary schools HSA (Home and School Association) where she currently serves as President. MEGHAN MALLOY is thrilled to join the Witherspoon Circle for their evening of new play readings. She holds a BFA in Acting from Point Park Conservatory in Pittsburgh. Some acting credits include My Children! My Africa! at the Wilma Theater (Barrymore Nomination), Enchanted April (Walnut), Doubt (Pgh. Irish & Classical), August: Osage County (Pgh. Repertory) and Dead Man's Cell Phone (Actors Theatre, Phoenix). She has also worked with InterAct, 11th Hour and Montgomery Theatre. Meghan has taught a variety of classes and workshops for nine years with the Walnut Street Theatre. She has also directed many children’s theatre productions for the Walnut and Upper Darby Summer Stage. TYLER S. ELLIOTT is so honored to be a part of this reading. A 2015 graduate of Swarthmore College, Elliott has most recently appeared in Juniper Productions’ inaugural Fringe Show (#CocktailPlays), as Asher in Asher Lev (South Camden Theater Company) and as Kurogo in You For Me For You (InterAct Theater Company). Past credits include First They Came (PYP and Found Theater Company), Konstantin in The Seagull (Swarthmore Theater), and Nas in Mercury Fur (Brainspunk Theater Company). He will be appearing as Peter in Diary of Anne Frank (People’s Light) and Romeo in Romeo and Juliet (Lantern Theater Company) this Spring. MARISSA WOLNER (VALERIE) is excited to be in her first Witherspoon Circle reading for New Feathers! Regional: Beauty and the Beast, Elf, Legally Blonde, Sleeping Beauty (Fulton Theatre), High Society (Walnut Street Theatre), the regional premiere of The Bridges of Madison County, and West Side Story (Media Theatre). Proud member of AEA. Temple Made. MATTHEW ROBERTSON (EVAN) Downtown Performing Arts Co: Hair, Ragtime. Newtown Arts Co: Titanic, My Fair Lady. ActorsNet: Our Town. Steel River Playhouse: Vanya and Sonia and Marsha and Spike. Upcoming performances include The Hunchback of Notre Dame at the Kelsey Theatre later this month and Hairspray at the Music Mountain Theatre in November. MARISOL CUSTODIO (Missy) is a theatre and film actress in the local area. She last appeared in the development process and staged readings for Las Mujeres by Erlina Ortiz with Powerstreet Theatre. Marisol is thankful to be a part of this reading and to everyone making this production possible. TABITHA DELL’ANGELO (BEN’S MOM) is an actor and playwright with more than 20 years experience in improvisational theatre and storytelling. She has performed with Full Circle Theatre in Philadelphia and on the Bucks County Playhouse stage. She teaches courses and applied theatre as well as working full-time in the teacher education program at The College of New Jersey. KRISTEN NORINE has her BFA in Musical Theatre from The University of the Arts. Recent credits include Annie (Time is On Our Side, Simpatico Theatre), Chelsea (flesh, flesh flesh: a Ghost play, The Brenda Frank Collection), and Violette (Spectre Vivant, a collaboration between New Paradise Laboratories and Opera Philadelphia). Other companies include The Idiopathic Ridiculopathy Consortium, Renegade Company, Forearmed Productions, and Plays and Players. HANNAH PARKE is an actor, singer, and collaborative artist that originally hails from the land of Dolly Parton, Tennessee. Recent credits include: The Equity National Tour ofThe Lightning Thief (NYC), Moth with Azuka Theatre, Tartuffe with Commonwealth Classic Theatre Co., and Living News with The National Constitution Center. 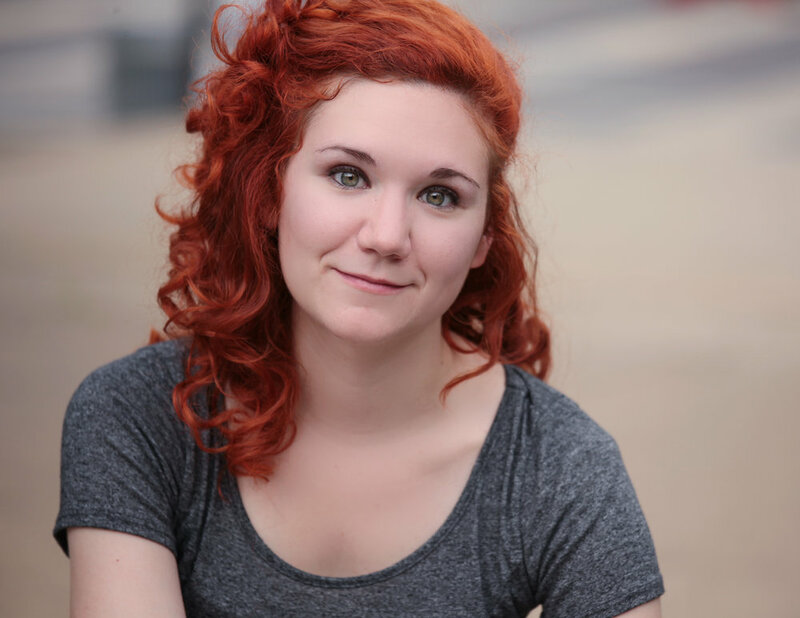 As a playwright, she is currently working on her piece, Close Your Legs, Honey, with Shamus Hunter McCarty, that will premiere at the 2018 Philadelphia Fringe Festival. MICHELE TAUBER just performed the role of "Sister Winnie" in Folk by Tom Wells at the Chester Theater Company in the Berkshires. Other recent work includes appearing on the CBS TV Show "Bull" and performing in Heartbreak House with the Resident Ensemble Players at the University of Delaware. NYC Stage: Orpheus Descending Directed by Austin Pendleton, two seasons with The Acting Company in; Comedy of Errors, Romeo & Juliet, O, Pioneers!, The Rivals & Macbeth. Also at The Mint Theater - The Charity That Began at Home, & the NYC International Fringe Festival in Jasper Lake & Pierrot Le Quin. Regionally: Pig Iron Theatre Company in I Promised Myself To Live Faster at Actor's Theatre of Louisville's 39th Humana Play Festival & Fringe Arts in Philadelphia. Six Seasons of A Christmas Carol at McCarter Theatre, See How They Run at Barrington Stage, The Fox on the Fairway with Gulfshore Playhouse and also shows at; Two River Theater Company, Indiana Rep., Syracuse Stage, New Jersey Rep., Capital Rep., Present Stage Company, Pennsylvania, Texas & Alabama Shakespeare Festivals, Cleveland Playhouse, Forum Theater, Depot Theater, Luna Stage Company, & Dreamcatcher Rep. TV/Film: Boardwalk Empire, Law & Order, Kate & Allie, The Street. Training: MFA, PTTP at University of Delaware. JARED MICHAEL DELANEY is the co-founder and Associate Artistic Director of Revolution Shakespeare (www.revolutionshakespeare.org), based in Philadelphia, Pa. As an actor, he has been seen off-Broadway at 59E59 and regionally at the Folger Theatre, Theatre Workshop of Nantucket, River Valley Rep, Sierra Rep. Theatre, Arden Theatre Co., Theatre at Monmouth, Walnut St Theatre, Philadelphia Theatre Company, Bristol Riverside Theatre, New Jersey Repertory Company, the Eagle Theater and Pennsylvania Shakespeare Festival, among others. As a playwright, he has had three short plays produced as part of the Philadelphia FringeArts Festival. His first full-length play, The Hand of Gaul was produced in 2013 at Inis Nua Theatre (Philadelphia) and his play Noli Timere (Don't Be Afraid) had its world premiere at Theatre Conspiracy (Fort Meyers, Fla) in May 2017. Another play, Paint It Black, You Devil was accepted into The Greenhouse, a development workshop with Strange Sun Theatre in NYC. A third piece, Child of Lions, was accepted to the HRC Showcase Theatre’s Reading Series in Hudson, NY. In addition he has previously worked as a journalist, working for several different newspapers and magazines. He is currently pursuing an MFA in Playwriting from the Queens University of Charlotte. MA in Theatre from Villanova University. Member, AEA. KAMILI FEELINGS is a graduate of the pedagogical program at LISPA (London International School of Performing Arts). He is an alumnus of the famed Brown University playwriting program where he studied with such theater luminaries as Paula Vogel, Nilo Cruz, and Aishah Rahman. Since that time he has acted in theaters in Philadelphia and Rhode Island, and produced original work for radio. JAQUINLEY KERR is happy to be a part of the brand new New Feathers Playwright Reading Series. A stage and screen actress, she currently tours nationally as the narrator and singer with the Rodney Marsalis Philadelphia Big Brass' Brothers on the Battlefield: The Power of Love concert. Stage credits include Soprano Choir Member in The Wilma's production of The Christians, Scott (lead, stage combatant) in the world premiere of Empress of the Moon, Juliet in Romeo and Juliet, Helena in A Midsummer Night's Dream, and Abigail in The Crucible, as well as staged readings at Bucks County Playhouse, New Hope Arts Center, and McCarter Theater. Films/TV include: Ryan, The Bucks County Massacre, Silver Linings Playbook, The Lovely Bones, and Forensic Files. More information is available at www.jaquinleykerr.com. JEFFREY LANIGAN hails from Philadelphia PA. Jeff has performed in Pennsylvania, New Jersey, Delaware and New York. Jeff has been nominated for a Broadway World Award two consecutive years in a row for his performances as Franz Liebkin in The Producers and Jinx in Forever Plaid both with New Candlelight Theatre. Jeff received critical acclaim for his performance as Inspector Lestrade in The Crucifer of Blood with Hedgerow Theatre. Other credits include: Howie/Sam in Our Town with Commonwealth Classic Theatre, Ensemble in Miss Saigon at New Candlelight Theatre, Silvio in The Servant of Two Masters with G.J. Ruggiero Productions and Featured Ensemble in the world premiere of Boxing With Gaia with river Union Stage. Jeff is also a resident ensemble member of River Union Stage in Frenchtown NJ. Jeff is also the Theatre Arts teacher at Archbishop Ryan High School in Philadelphia PA. Jeff would like to thank Witherspoon Circle for the opportunity to create these brand new characters. And thank you to our audience, without you none of this would be possible. MARANATHA LEIGH is a recent MFA Acting graduate. While earning her degree, she specialized in Shakespeare, physical theatre and stage combat. Stage credits include Lucy (Dracula), Rosa Bud (Edwin Drood), Angel (Faustus), Jamie (Brownie Points), and Helen Keller (The Miracle Worker). She is thrilled to be joining the New Feathers Reading Series in this exciting opportunity to give life to new works! Special thanks to her family, especially mom and dad, and her dear friends back at Regent University: Jeff and Jill Brangan and Cohort C.
ANDREA SELITTO is a graduate of Temple University, where she earned her BA in Theater. 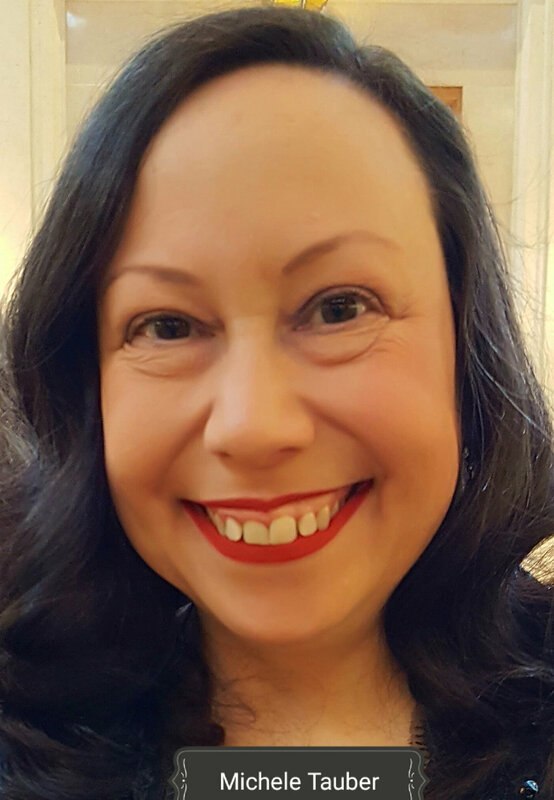 In addition to her work as a theater administrator and dramaturg, she has been involved in a variety of independent film and web series projects based in the Philadelphia area. Andrea has also previously appeared on stage in Bye Bye Liver: The Philadelphia Drinking Play, and is currently a member of the Murder Mystery Company's Philadelphia Troupe. YANNICK TRAPMAN-O’BRIEN is a performer and theater-maker with a rather long name. He received his BA in Theater from NYU Abu Dhabi, training at The Experimental Theater Wing in New York, RADA in London, and The International Theater Workshop in Amsterdam. His experience ranges from classical work to performance actions, interactive and immersive theater, and creative research. Select past credits include training and work with Theater Mitu, Witness Relocation, the Interactive Playlab, and collaborations with Public Movement (2016) and Amalia Pica (2017) at the Solomon R. Guggenheim Museum. He is also a performer and member of the creative team with Cirque du Nuit, blending interactive theater and circus in unexpected places.